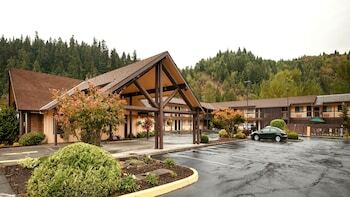 With a stay at Best Western Oakridge Inn in Oakridge, you'll be near ski lifts, just steps from Willamette National Forest and a 4-minute drive from Greenwaters Park. Featured amenities include a 24-hour business center, express check-in, and express check-out. Free self parking is available onsite.